There is so much to do and see in Savannah, which makes it easy to feel a little overwhelmed when trying to plan an itinerary. 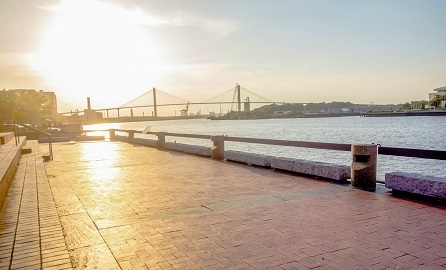 Luckily, we are here to help you narrow down your search, and share with you unique tips on where to find Savannah’s best attractions and sights. Wright Square in Savannah is one of the most popular squares in town. With its historic past and gorgeous trees, it makes for the perfect afternoon walk as well as a great area to spend a day! 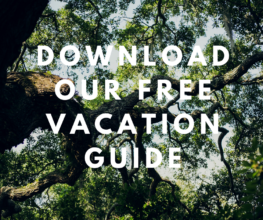 Get the inside scoop on planning your getaway when you access our complimentary Vacation Guide to Savannah. It’s Almost as Old as Savannah! Wright Square is one of the four original squares laid by Oglethorpe in 1733. Originally named Percival Square, it was renamed in 1763 after Georgia’s third governor, James Wright. It is still used today as a courthouse, as well as a market! On top of being historically important, Wright Square also features two of Savannah’s most impressive monuments: the monument of William Washington Gordon, and a commemorative boulder honoring Tomochichi, the leader of the Yamacraws tribe. One of the first burial grounds was built at Wright Square. There’s something mysterious about the big branches of the trees and shady corners, and when night comes, some souls are said to haunt the place. Tomochichi is actually buried at the center of the square, and legend has it that if you run around the southeast corner of its tomb and say his name three times, his ghost will appear. If you want to learn more about the ghosts of Wright Square, consider booking a walking tour! History buffs should stick around the area of Wright Square if they want to learn more about Savannah’s history; the square is surrounded by historical houses and museums! Discover Juliette Gordon Low’s birthplace, the founder of the Girl Scouts of the USA, look at some contemporary art at the Jepson Center or some more traditional paintings at the Telfair Academy, and finish your tour at the Owens-Thomas House. Spend a lovely day Wright Square in Savannah and learn all the secrets of our city before coming back to your room at Presidents’ Quarters Inn. 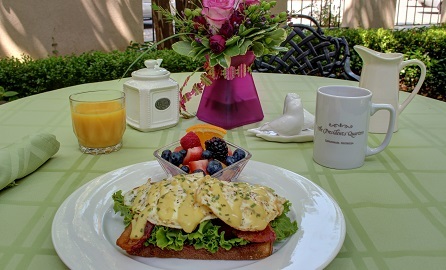 With a blend of antique and modern furnishings, exceptional amenities, and gourmet breakfast prepared to order, our stunning B&B is the perfect place to unwind with your significant other. 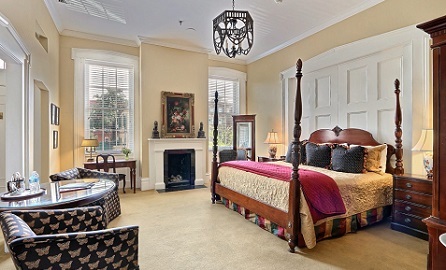 Our inn features 16 unique, historic rooms, each one named for a United States president who has visited Savannah. Browse our suites and reserve your favorite today. Then, look forward to being engulfed in historic Southern luxury on your next getaway to iconic Savannah, Georgia!